When his parents tell him it’s time for bed, a little boy enlists the help of his bedroom toys, one by one, to noisily emphasize his retort: GO AWAY! Definitely not your typical lullaby, the book’s repetitive beat of booms and dings and clinks and blings forms a rhythm all its own that will have kids joining in and marching right off to dreamland. 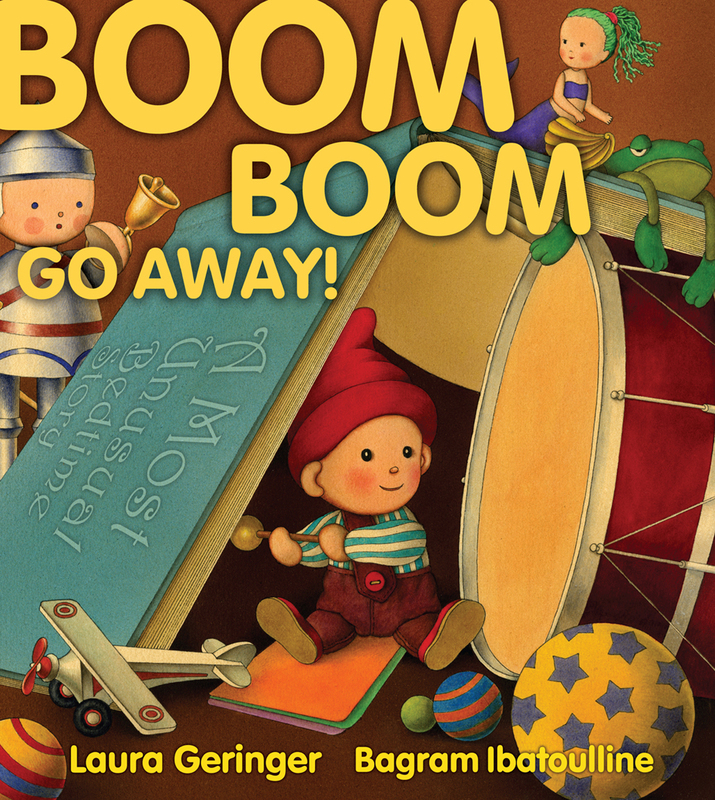 Book Cover Image (jpg): Boom Boom Go Away!